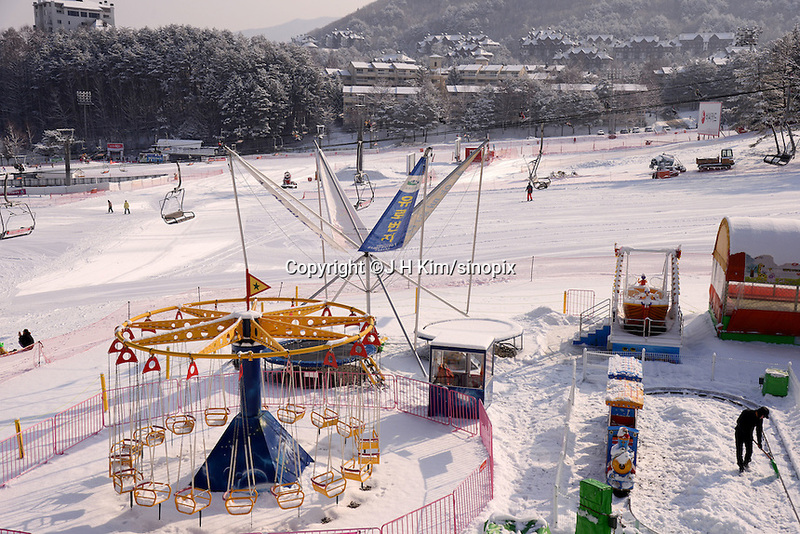 Cable car and ski-lift at theYongpyong (Dragon Valley) Ski Resort is a ski resort in South Korea, located in Daegwallyeong-myeon. Pyeongchang. Yongpyong will host the technical alpine skiing events of slalom and giant slalom for the 2018 Winter Olympics and 2018 Winter Paralympics in Pyeongchang.